Painting the interior of your house can be worth the effort if you put in the hard work. It will transform your space and add value to your property. This is especially true if it is on the real estate market. 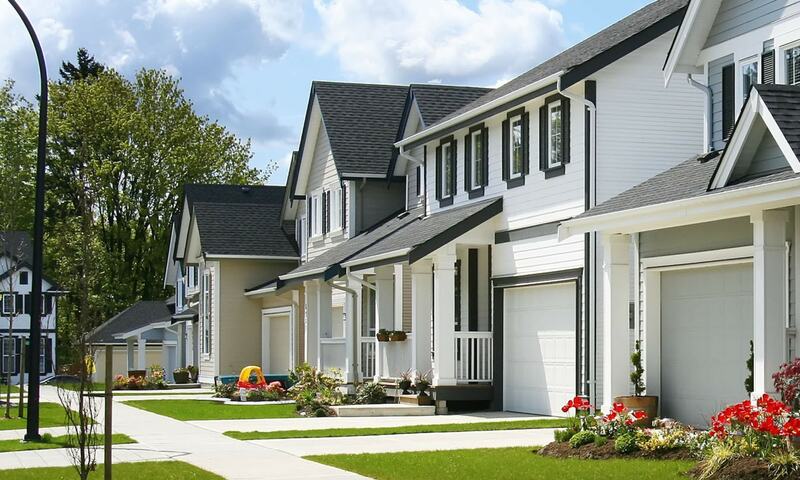 In fact it is a well known fact that most new home buyers in Ottawa today are looking for move in ready homes. They prefer the houses that have fresh and modern paint colours along with the newer appliances and other luxuries such as granite and upgraded kitchens, baths and flooring. 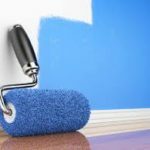 Whether you hire a professional house painter or do the interior house painting yourself here are a few tips and advice on how to do the painting yourself. 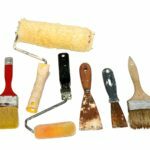 Proper planning of your time, supplies and materials you will need to tackle your DIY house painting is crucial before getting started. 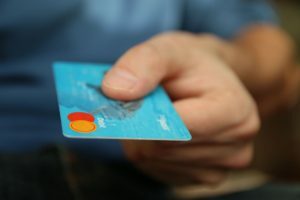 The following are tips, steps in how to and advice of what you will need and how to plan. 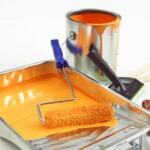 Before getting started on any painting project, the following items need to be purchased so that everything runs smoothly and you have everything needed to complete your house painting project successfully. When tackling a big project like painting the interior of your house you should make sure that everyone is on board. Include your partner and family members on the decision and share ideas on paint colours. It’s amazing what choices and decisions can be made by including other’s thoughts. Making the decision of doing it yourself vs hiring a professional painting contractor is only one of the many decisions where sometimes two heads are better than one. Plan it and Envision It. Maybe you’ve been watching some of the DIY shows and have seen some pretty amazing paint colours and thought how great these would look in your space. Have you seen pictures in magazines or online that have inspired you to start that house painting project. Start cutting them out and create a folder or scrapbook like album that you can refer to as you begin this house painting project. 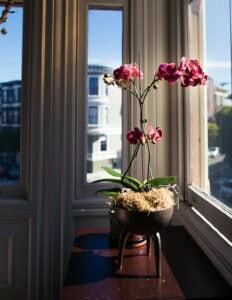 There is also the online version of clipping photos to save to a board or on your computer from various websites such as Pinterest or Houzz. Create an online folder if you are more inclined to use the internet over paper magazines. 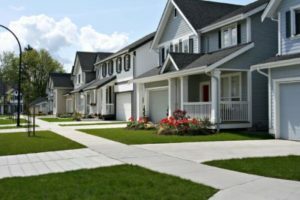 You can also go on a tour of the many new homes and condos models in the Ottawa area that will provide you with inspiration and a great visual as to what some of the paint colours may look like before you choose them as many of the new home models are decorated in the most recent modern and trending paint colours. Don’t be overwhelmed, as it can be exhausting and time consuming. If you are doing the painting yourself, simply walk in to any paint store selling the Benjamin moore paint products and they can help you select the right paint colour for you if you can’t make the hard choice. 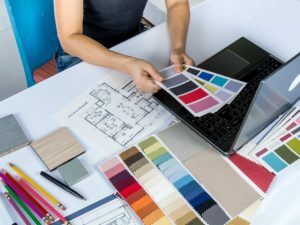 If you are hiring a professional painting company, the painter should have enough years of experience and knowledge to be able to guide you through some of the selection of paint colours, sheens and finishes with a paint colour consultation. Keep in mind that light colours will work for any room, but if you are living in your home for years to come why not take it up a notch and add a punch of colour. Go bold, go dark be creative, what’s the worse that can happen? The worst that can happen if you paint a dark colour and you don’t like it when you are finished is that you have to paint all over again. You may not want to repaint everything once you’ve done it the first time as you will find it’s not as fast or as easy as you were expecting. 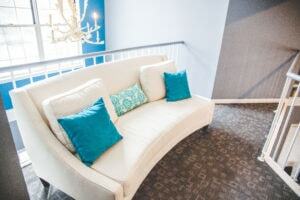 Be mindful that once you’ve selected your paint colour you need to choose a finish or sheen as well. 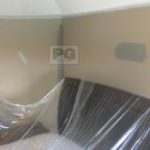 Remember that gloss or high gloss paint finishes will give you a shiny and easy to clean surface but all the imperfections in the walls, bumps, drywall etc will be more visible then lets say if you choose a flat or eggshell paint finish. 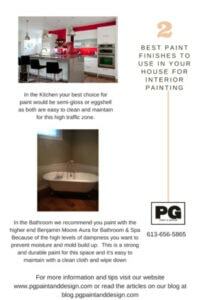 See what the our recommendation for best paint finish to use when painting your kitchen or bathroom. Complimentary colours are paint colours that are in the same family.Meaning, on the paint colour samples you’ll start with the lightest hue and move up to the darkest shade available in that particular colour. If you have to adjoining rooms or open concept living then you can compliment the rooms with choosing a lighter shade say for the ceiling, go two tones darker for the walls and you can add even more drama with a bolder and darker accent or focal wall such as the fireplace wall in the family / living room. 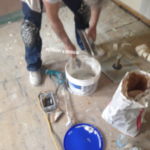 To make a guess at estimating how much paint you will need to paint a room you will need to take measurements. To find out the square footage of the room to be painted and how much paint you will need to buy you need to measure the height and the width of the walls to be painted learn more from this article on measuring for painting and the cost of buying paint. The calculations will only provide an estimate as to how much paint you will need to buy, it’s always easier to be under rather than over especially if you choose a special tone or hue as these are non refundable at the paint stores. If you’re estimating on how much white paint you may need then it’s ok to buy an extra as this will be returnable if you have left over paint or don’t end up needing it. The cost of paint varies from each paint manufacturer. The costs also are dependent on the finish and the quality you choose. 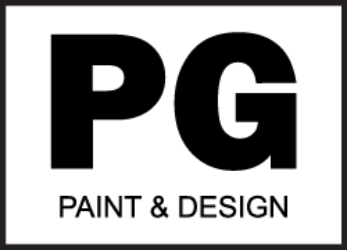 Each manufacturer makes a lower end and higher end paint product. On average most homeowners choose the middle to higher end paint product as they are the best bang for the buck. You’ll get top quality painting results that will last for years as well as they are the easiest and most durable for cleaning. 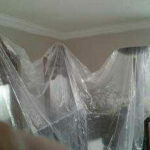 Average costs to paint a room will run you anywhere between $350.00 to $500.00 dollars. 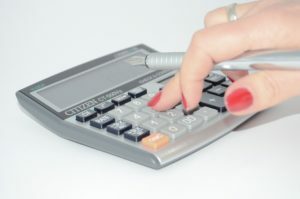 When adding up the costs of painting these are a few things that you will factor in. To complete an interior house painting project you need to purchase the following: Refer to our list of Materials & Supplies you will need to paint the interior of a house in our Step 1. 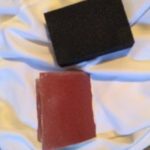 Plan on spending approximately a total to buy the above materials anywhere between $200 to $400 as it will depend on the coverage area and the quality of all the materials and supplies you buy. You don’t really want to go cheap on these products as the end painting result won’t turn out as perfect as you had hoped. If you’ve hired a professional house painter then these costs are included in the painting estimate and they supply all the materials. Moving all furniture and accessories such as pictures, art, lamps into the centre of the room will give you the space to move around freely as you paint the room. Make sure you cover it properly to ensure it is protected from any paint mishaps like paint drops or spills. Removing pictures, art from the walls is one of the first steps to clearing out a room before painting. 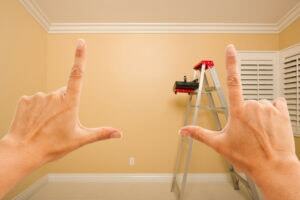 If you are repainting the entire house before moving in that’s going to be the easiest. The house is already empty so you don’t need to move any furniture etc. Just remember to remove all the electrical outlets, use painters tape everywhere you don’t want paint on, and lay down the drop cloths to protect all floors and carpets. 1) Paint one room at a time. This helps alleviate disruption of the entire household and let’s you do things at your own pace. 2) If you are painting the entire house at one time then a good idea would be to empty out each room. 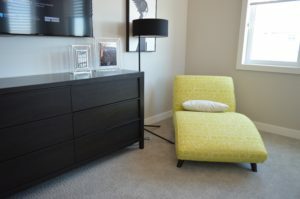 If you have lots to remove and would feel more comfortable with an empty room, you can also rent a pod or storage unit (see link at bottom of article) at or from a local storage business. Keep in mind that renting a pod or storage unit is an added expense. The painting process from start to finish is outlined for you below. 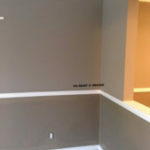 Assuming you’ve done all your drywall repairs and patching, have filled any imperfections or nail pops in the walls, have sanded all the repaired patches to a smooth finish you are now ready to start painting. We hope you find the steps easy to follow to help get you started. 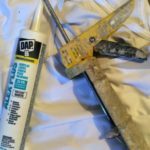 Patching & Sanding: Before you begin any painting you need to go around the room or rooms in the house and patch any holes or cracks created by nails or imperfections in the drywall. 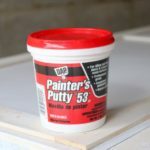 Patch them with either putty or drywall compound, then sand to a smooth finish before applying a paint primer and then the finishing coats. 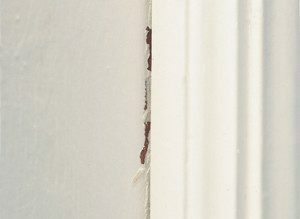 Caulking: Before a painter applies paint they ensure that all cracks in wood work such as around window frames and door frames, baseboards and trim, or if you have crown moulding (a.k.a.) 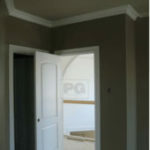 cove molding is sealed with caulking and you too should ensure you caulk all these areas before painting. It seals any gaps between the wood and the walls before paint is applied. 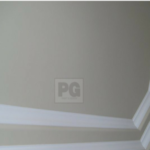 Paint Primer: Before you apply a new paint colour to the walls you will want to use a paint primer. 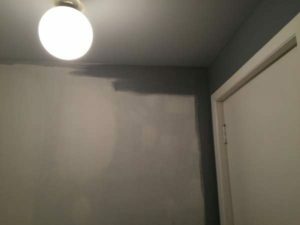 If you are painting a light colour over a light colour you can sometimes skip this step especially if no major drywall repairs were done. If painting over a dark colour then you will want to use a paint primer as it provides better coverage. You can have the primer tinted close enough or exactly like the paint colours you’ve chosen for the walls. 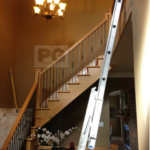 Paint Primer will make it easier in the end to ensure the 2 coats of paint finish give you the perfect end result. 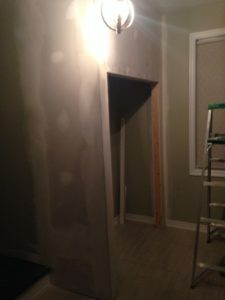 It is absolutely a must that you use a paint primer on new drywall. It will provide a sealing coat before the paint colours are applied. New drywall tends to soak up paint like a dry sponge, so if you don’t use a paint primer you’ll be painting way more than 2 coats of finish. This will also cause you to need to buy more of your final paint colours as you will need more of the chosen colour to give you even coverage and a professional painting end result. Cutlines: Cutting the edges, corners in a meticulous straight line with a paint brush is not as easy as it may seem on reality tv shows or on youtube. If you’ve ever hired a professional painter you will see the perfection to each paint brush stroke and roll of the paint roller. There should be no overlapping paint on the ceilings from the wall paint or vice versa. You should be able to see a straight cut line right where the ceiling and wall conjoin as well as with any of the trim wood work and baseboards. If you are doing your own painting then you should start with the painters tape especially if you are unsure of yourself being able to cut a straight line with the paint brush. 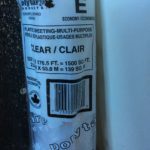 Using the painters tape will add the reassurance and protection that your wall paint colour won’t go over to the ceiling or onto the baseboards or trim. It also gives you a guide to follow for cutting a straight line with the paint brush. Factor in the time it will take to tape the entire ceiling or ceilings, trim, baseboards and frames around windows and doors before you even dip that paint brush into the paint can. The next thing you know a few hours have passed and you haven’t even yet begun the painting. But patience will see you through it. Just a small tip of advice from a professional painter and that is if you are DIYing it then maybe take a break in between the cutting or split the duty up with the helpers you have as it is tedious as well as very strenuous on the hands, wrists, shoulders and neck. Using an angled paint brush start painting the corners of each wall where the ceiling and walls conjoin. Cut around the window frames, trim and baseboards and any other wood work you have in the space. You should paint at least a border of about 2 to 3 inches for the cutlines. 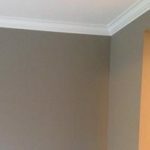 You will want to make enough of a border by painting the cutlines so that when you start using the paint roller you don’t need to worry about getting paint on the ceiling or any other area you don’t want that colour on. An angled brush is preferred for painting straight cut lines because it ensures the paint is evenly brushed on and gives you that added edge of getting into the corners rather than a flat (or straight) brush that will have you working a little harder to get into the corners and painting a straight line. If you’ve already painted the paint primer, then you should paint the cut lines twice. Because you will be painting two coats of finish. You will want the cut lines to not show any difference between the brush strokes and the paint roller. Trim: Painting the trim around the window and door frames in any room is the same tedious and strenuous job as the cutlines. It requires a steady hand to get the meticulous end detailed painting result. This may be a job you can share with the person or people who are helping you in this house painting project. R emember if you don’t trust yourself or your helpers to have a steady hand then make sure that painters tape is up before you begin. 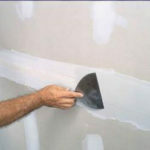 Paint Rolling: After all the cut lines have been done around the walls and trim you begin using a paint roller to apply the first coat of paint. It usually takes 2 coats of any paint product to ensure perfect coverage. 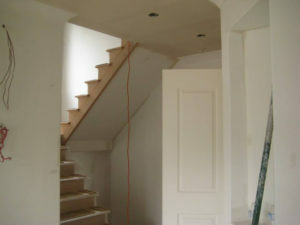 Paint two coats of your final paint colour on the walls, ceiling, all trim and baseboards. Remove all the painters tape you put up when you first started,. 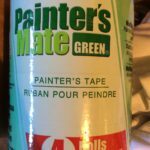 Remove the painters tape while the paint is still wet. Peeling it off on an angle. Removing the painters tape on an angle while the paint is still wet will reduce the risk of your chipping the fresh paint. Painter’s tape once dry is more vulnerable to chipping and peeling off more paint then you wanted to. Cleaning up after an interior house painting job is a time consuming and tedious job, especially since you’re more than likely wiped out by all the painting, the last thing you want to do is clean up. 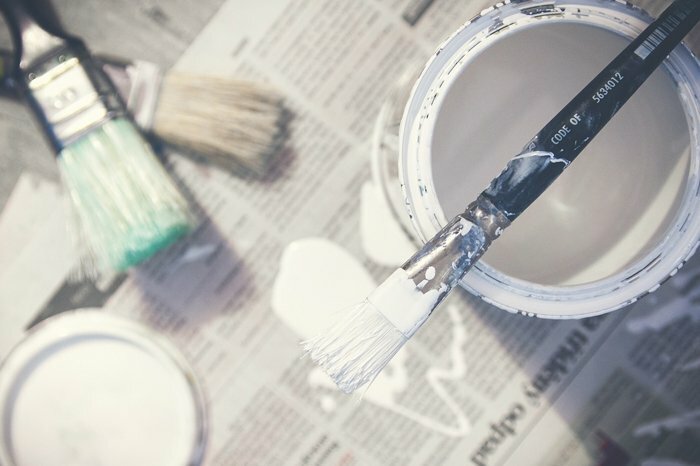 Here are a few tips on cleaning up after the painting is finished. Remove all the drop cloths you laid out on the floor to protect the flooring and or carpeting from paint spills. Fold them inwards as this helps to alleviate any dust particles from flying onto your freshly painted walls. Seal and close up all the paint cans that still have paint in them. Make sure you seal them properly. You can save them for future touch up or repainting or properly dispose of them responsibly and environmentally safely. Make sure to wash your paint brushes and paint rollers so that they maintain their quality, and you can easily store them for a future project. Sit back, be proud of your accomplishment and enjoy your fresh new paint colours and finished house painting project. If you found these tips on how to paint the interior of a house helpful and useful please share with others so they too can be guided through the painting process. If you have questions related to interior house painting or other home services simply contact your local house painting company. Talk to your local painters to better understand the benefits of painting the interior of your house.